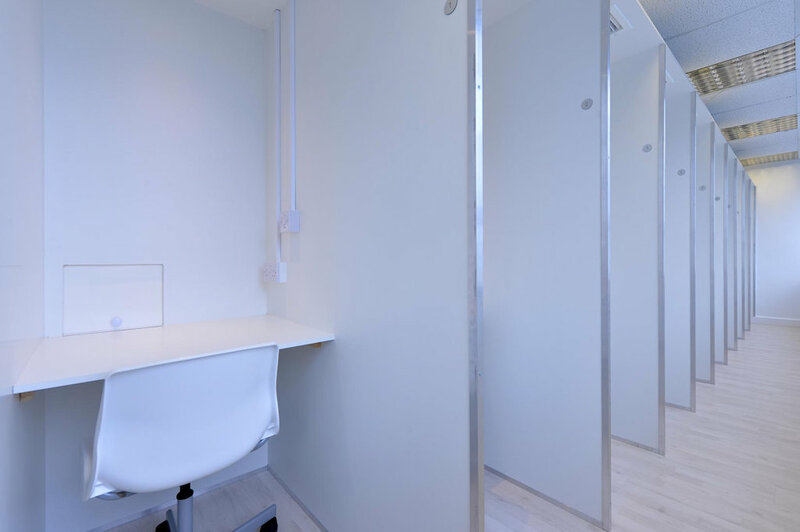 Built to accommodate in-house sensory testing in a lab environment, our self-contained sensory lab offers unique facilities combined with recruitment / screening and QDA trained panellists. Our state-of-the-art lab includes 16 booths: 10 open booths designed and built to ISO standards and 6 bespoke closed booths, plus dedicated product preparation/storage area and prep kitchen. 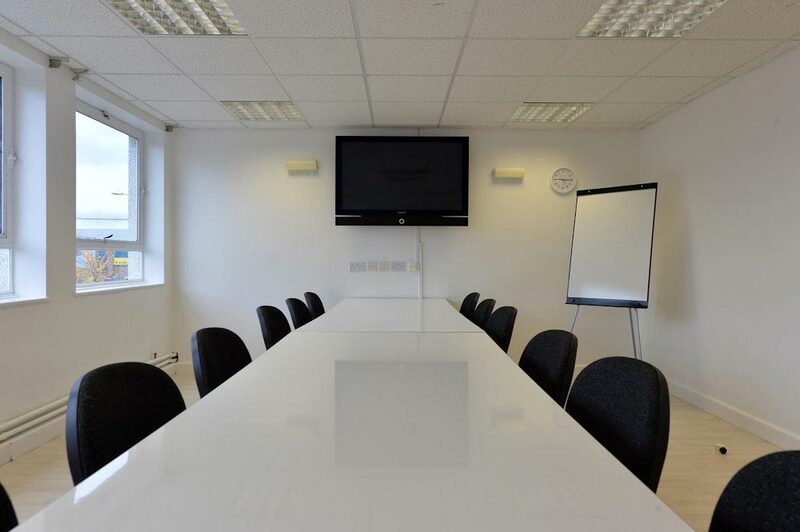 There is a separate discussion room, perfect for language development and focus groups. This holds up to 20 participants and is equipped with white boards, LCD TVs and one-way mirror, allowing client viewing on site. 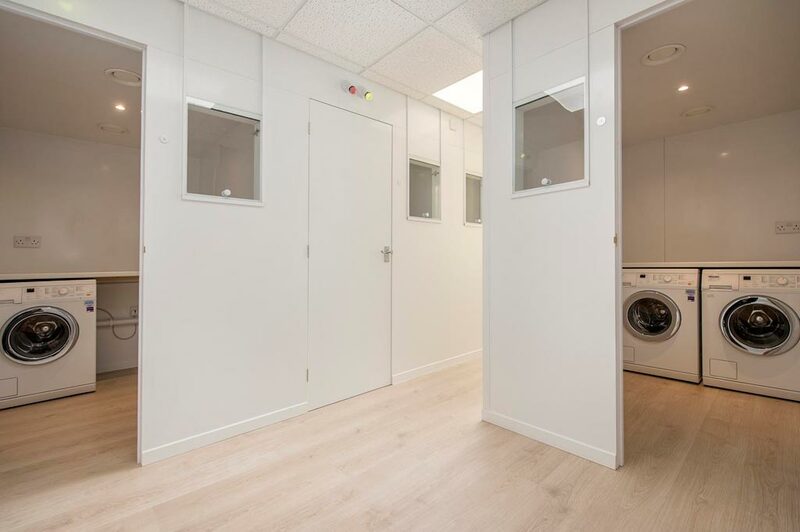 Our linked sensory suite offers 8 larger, sealed booths, equipped with in-booth washing machines to replicate home utility room environments within a controlled setting. 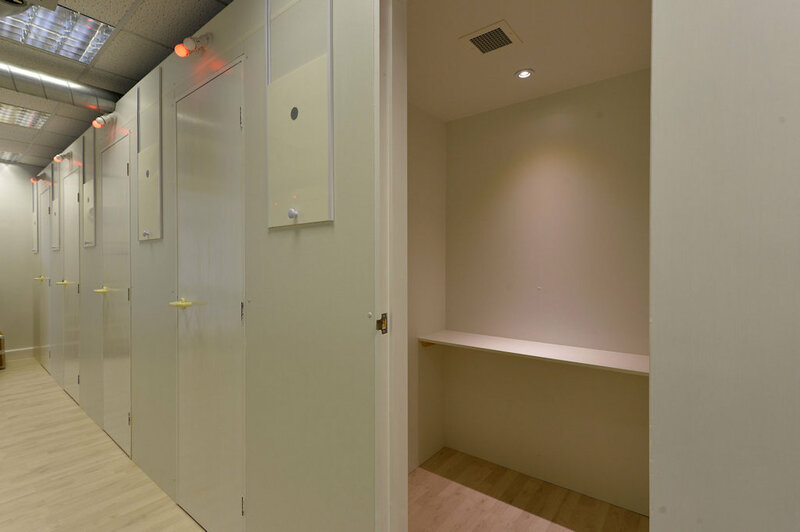 These versatile sealed booths have the flexibility to deliver on consumer testing across a variety of product categories - laundry, air care and household cleaning. Currently used alongside our flavour and fragrance testing work - products such as laundry, air fresheners, household cleaning materials, candles and fine fragrances – the sensory lab can also accommodate trials with hot and cold drinks and food products. Additional test kitchen coming soon. Open booths 750mm wide x 1200mm deep x 2100mm high. Closed booths 1200mm wide x 1200mm deep x 2100mm high. 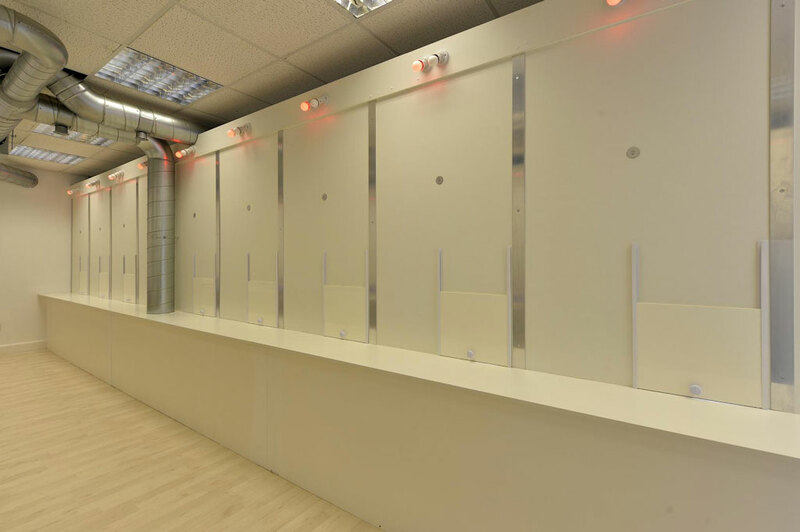 Sealed booths with washing machines 1450mm wide x 2000mm deep x 2100mm high. Air conditioning and extraction spec available on request.